Keith Williams received his RIBA Fellowship at a ceremony held at the Royal Institute of British Architects, 66 Portland Place London W1 on Thursday 1 February. Keith was one of only 30 Fellows worldwide who were elevated when fellowship was reintroduced by the RIBA for practising architects toward the end of 2016. RIBA Fellow Membership recognises the achievements of Chartered Members who have made a significant contribution to architecture, the profession and the community. The 30 Fellows who have been elected represent a broad range of backgrounds and specialisms, who continue to affect and influence change from all four corners of the globe. Fellows of the RIBA are ambassadors for the profession and RIBA community, with membership providing a profile and platform to continue to affect change and celebrate architecture. 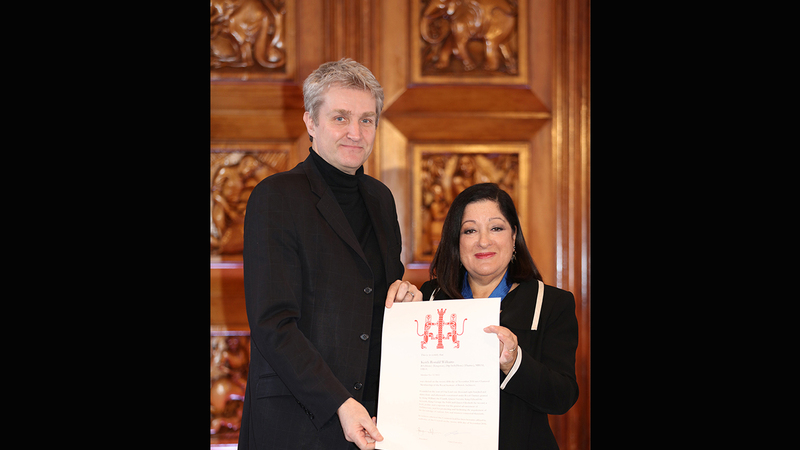 The certificate was presented to Keith by architect Jane Duncan IPPRIBA, the immediate past president of the RIBA.